1Wards Ferry Bridge spans the Tuolumne River just outside Yosemite. It's been a popular hangout spot for teenagers, who have left almost none of the deck's surface untouched by spray paint. 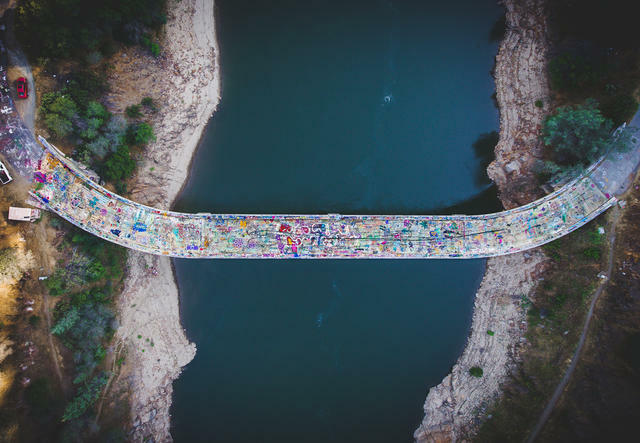 Letter writers to the local newspaper have complained that the renegade artwork spoils the area's natural beauty. But seen from the sky, it looks downright enchanting. 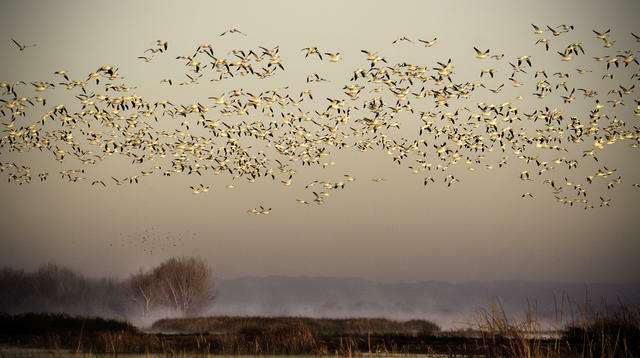 Geese take flight at the Merced National Wildlife Refuge. 2Tucked within the farmlands of the San Joaquin Valley is a birders' wonderland. Merced National Wildlife Refuge is among the valley's last remaining wetlands to be spared by the advance of agriculture and urban sprawl. It's part of the Pacific Flyway, the north-south route traversed by millions of migratory birds in the spring and fall. Among the star attractions are sandhill cranes. They perform intricate courtship dances and form couples that last for life. 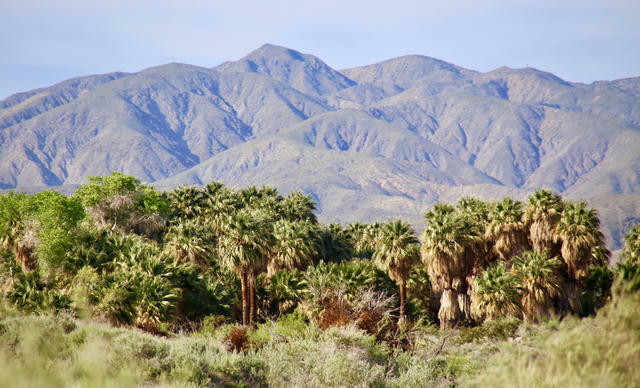 Thousand Palms Oasis is among the state's largest collections of native California fan palms. 3A luxuriant grove of palm trees rises from the Coachella Valley desert. Thousand Palms Oasis is situated along the San Andreas Fault about 100 miles east of Los Angeles. The crease through the low-lying valley has allowed water to gurgle to the surface, filling wetlands along with plant and animal life. The trees are California fan palms, the state's only indigenous palm. Long before they were used to decorate our streets, Native Americans ate their dates and wove their fronds into sandals and baskets. Bowling Ball Beach is a part of Schooner Gulch State Beach, in Mendocino County. 4It's readily apparent how Bowling Ball Beach got its name. Arrayed in neat rows along the Mendocino coast are dozens of almost perfectly spherical boulders. 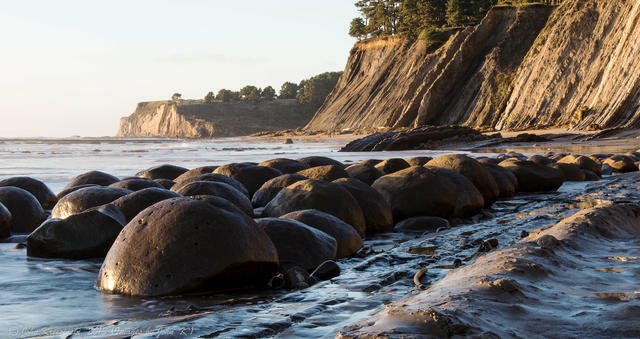 The rare formations — known as concretions — emerged over millions of years through a geological process in which hardened spheres formed in mudstone that later receded from the onslaught of the crashing Pacific. Timing is important if you want to see them. They're only fully visible during low tide. Scenic Red Rock Canyon is situated at the southernmost tip of the Sierra Nevada. 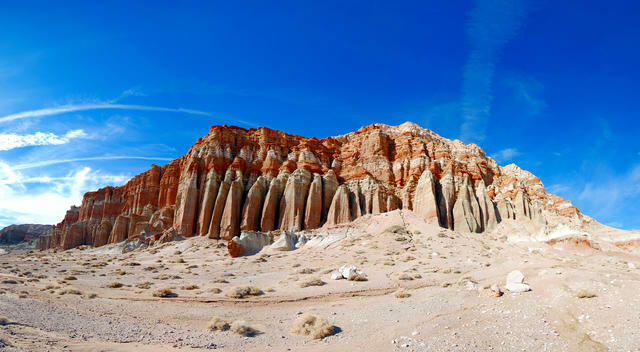 5Red Rock Canyon State Park is a geological wonder about 80 miles east of Bakersfield. Rising from the floor of the Mojave Desert, pleated rock walls in hues of pink and red have been carved by wind and water over eons. The colors owe to the presence of iron oxide, otherwise known as rust. If the setting looks familiar, that could be because it's been a go-to backdrop for western movies. The park offers another draw for star-deprived Angelenos: It has some of the darkest skies within two hours of the city. Campsites are first come, first served. The Palace of Fine Arts in San Francisco. 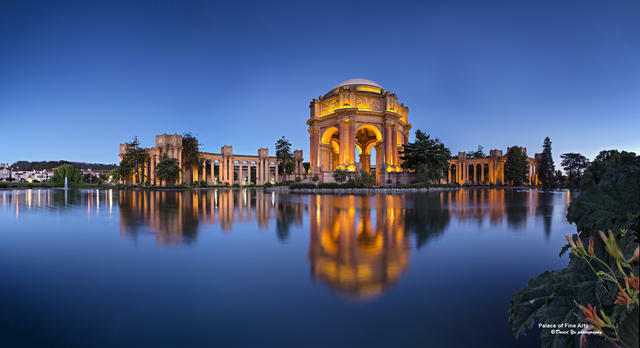 6San Francisco's Palace of Fine Arts was built to house artworks during a world's fair in 1915. The Panama–Pacific International Exposition was intended to demonstrate the city's rise from the ashes after the 1906 earthquake. After it ended, almost all of the attractions were torn down with the exception of the Palace of Fine Arts, whose soaring colonnade and rotunda were regarded as simply too beautiful to destroy. It was left alone, then rebuilt in the 1960s. Today, the structure hosts galas, trade shows, and performances. For couples, there are few settings more romantic to take a nighttime stroll. 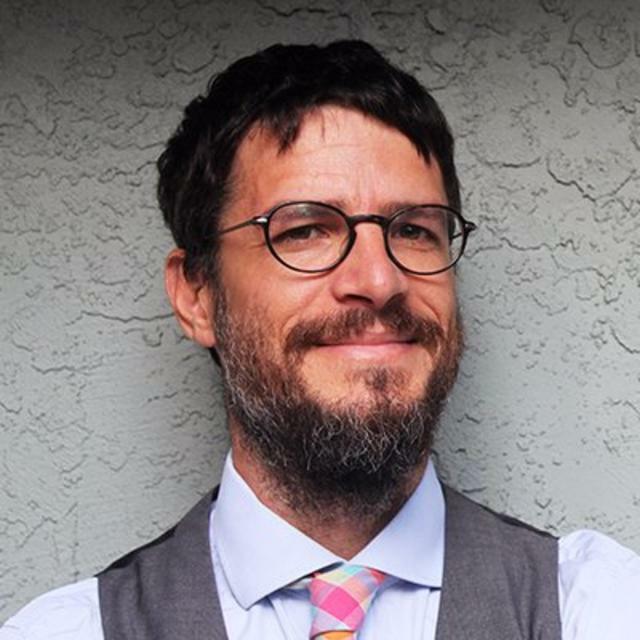 This article is from the California Sun, a newsletter that delivers California’s most compelling news to your inbox each morning — for free. Sign up here.